Home NEWS 6 people arrested as police search for more terror suspects in the DusitD2 Hotel attack. 6 people arrested as police search for more terror suspects in the DusitD2 Hotel attack. Sahaila Mwinyi, the wife to Dusit D2 hotel suicide bomber Mahir Khalid Rizik. Police have arrested the wife and father to Dusit D2 hotel suicide bomber Mahir Khalid Rizik. 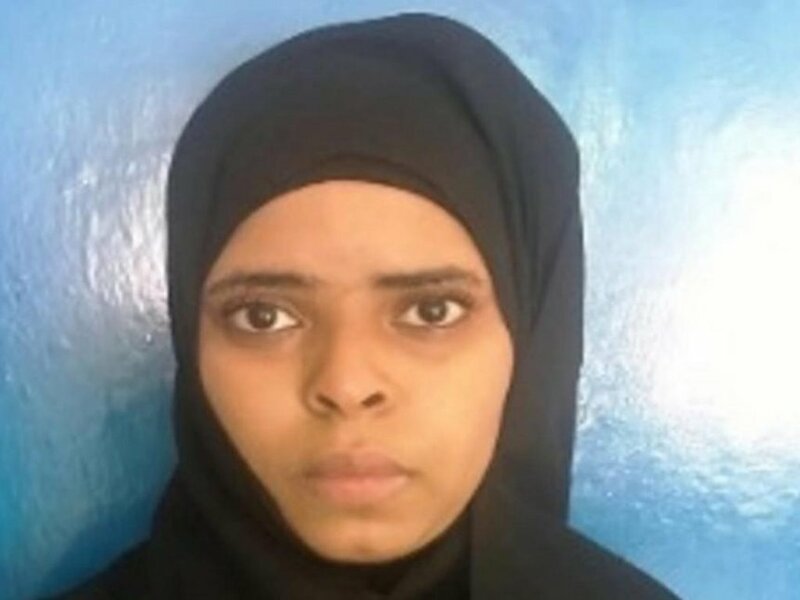 The wife, Sahaila Mwinyi, was nabbed at Bakarani, Kisauni while the father whose identity is yet to be established was arrested at Majengo in Mvita. The two are believed to have been flown to Nairobi by officers from the Anti-Terror Police Unit for interrogations. Mahir blew himself at DusitD2 hotel on Tuesday. CCTV footage showed the deceased blow himself up outside the Secret Garden before fellow terrorists started shooting indiscriminately. And as the hunt for Dusit terror suspects continues, a multi-agency security team investigating has widened its scope to Kitui County after local police arrested three foreigners and a Kenyan in two hotels suspected to be terrorists. One of the suspects, a man of Somali decent aged 47 years had a British passport bearing the name Muhudin Hassan, which police suspected is forged. Other two suspects did not have any travel or identification documents. Hassan was arrested Saturday at dawn at Parkside Villa Hotel in Kitui town where he had checked in on Friday evening. After a brief interrogation, he led the detectives to another hotel within the town where the other three suspects were arrested. The three between the ages of 24 and 25 were identified Musa Abdulkadir Ahmed a Kenyan; Ahmed Aris Mohamed, and Mohamed Abdi Ali who were discovered without any identification. The fourth, a man of Somali decent aged 47 years had a British passport bearing the name Muhudin Hassan, which police suspected is forged. The search is also said to have extended to Meru, Nyeri and Isiolo. Meanwhile, over 80 Al Shabaab militants have been killed in an ambush by US airstrikes as they headed to attack Ethiopian forces at the Sangura camp in Somalia.